Do you want know a little something about one of Harford County’s hidden treasures? You’ve come to the right place. 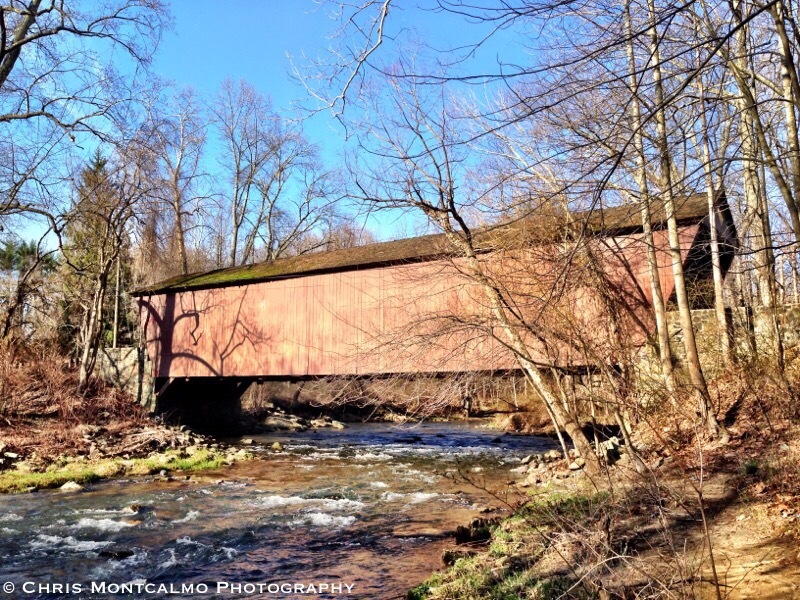 The Jericho Covered Bridge is a Burr arch through truss wooden covered bridge near Jerusalem, Harford County and Kingsville, Baltimore County, in Maryland, and near historic Jerusalem Mill Village. The bridge was constructed in 1865 across the Little Gunpowder Falls. Renovations were made to the original bridge in 1937 and 1982 (editor’s note: more renovations are taking place in 2015). This bridge is 88 feet long and 14.7 feet wide and is open to traffic. The Jericho Covered Bridge was listed on the National Register of Historic Places in 1978. There are also rumors the bridge is ‘haunted’ by the ghosts of civil war soldiers. This bridge is an amazing sight to behold. I’m captivated by it every time I visit it.